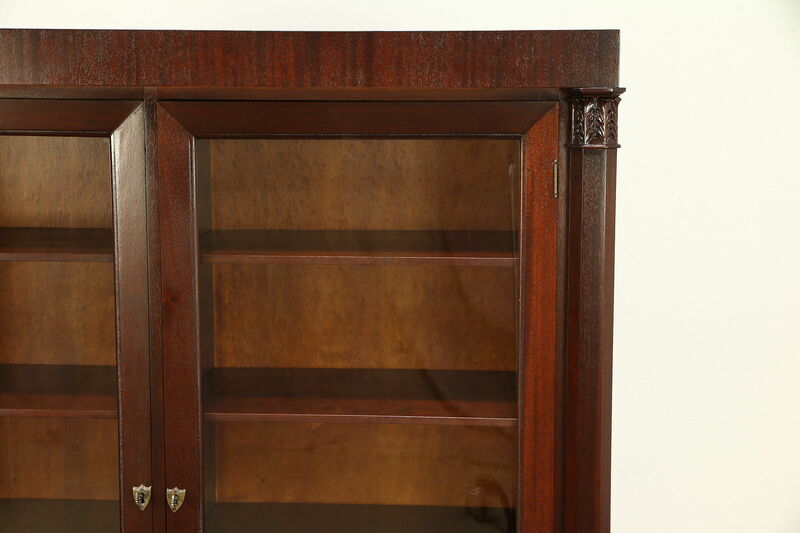 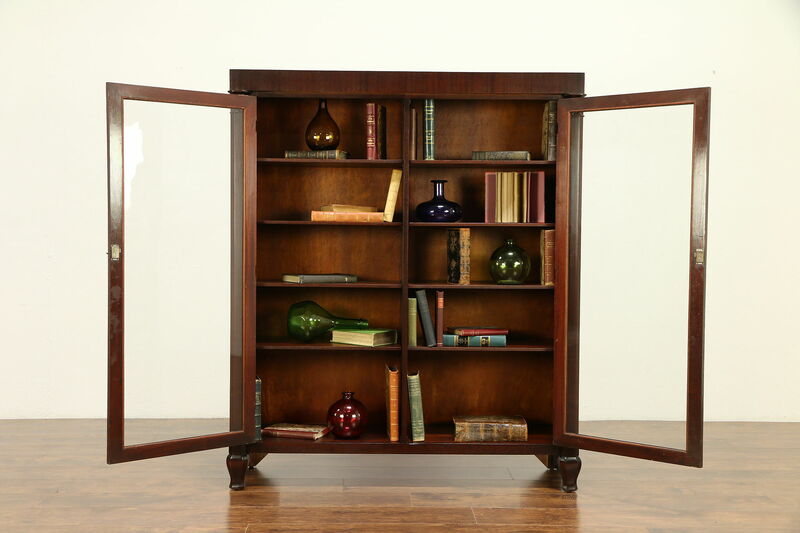 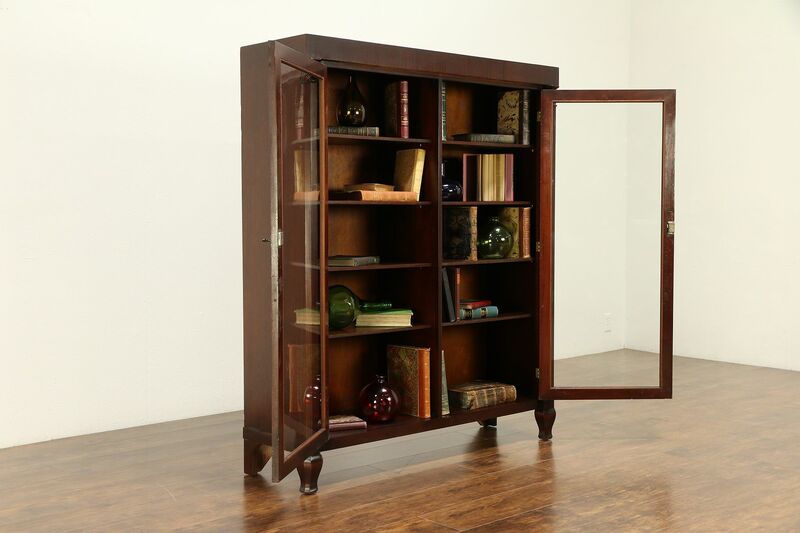 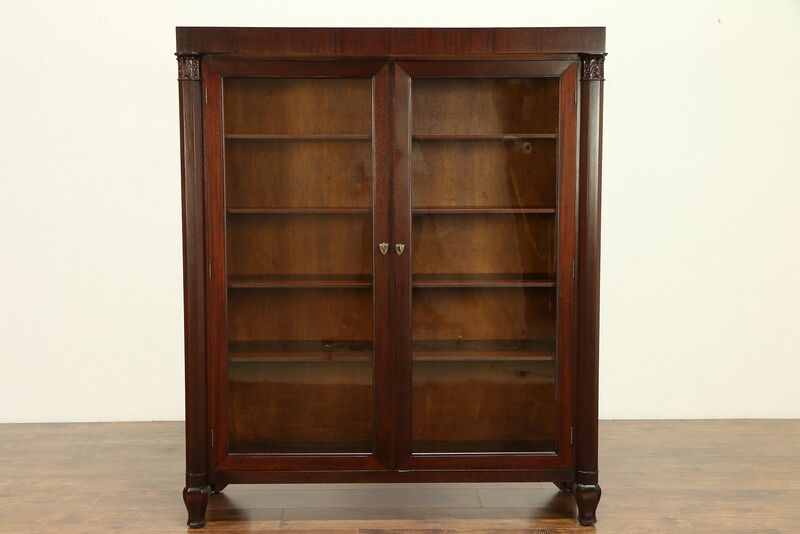 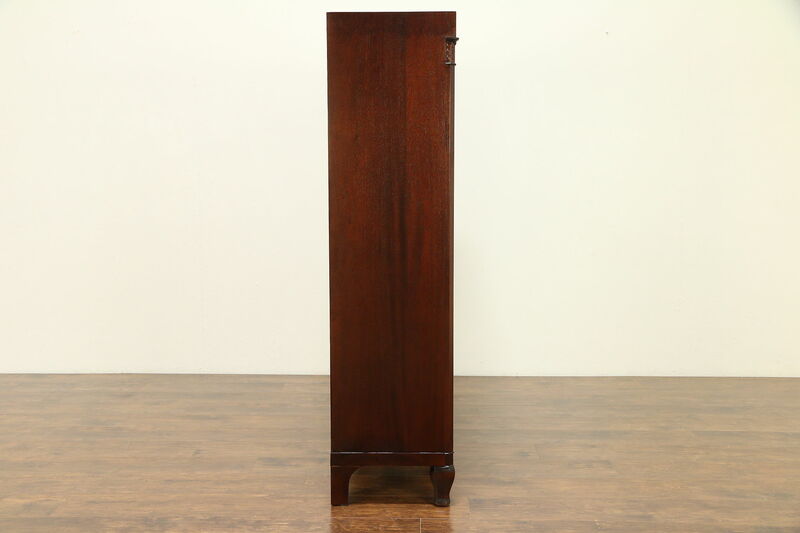 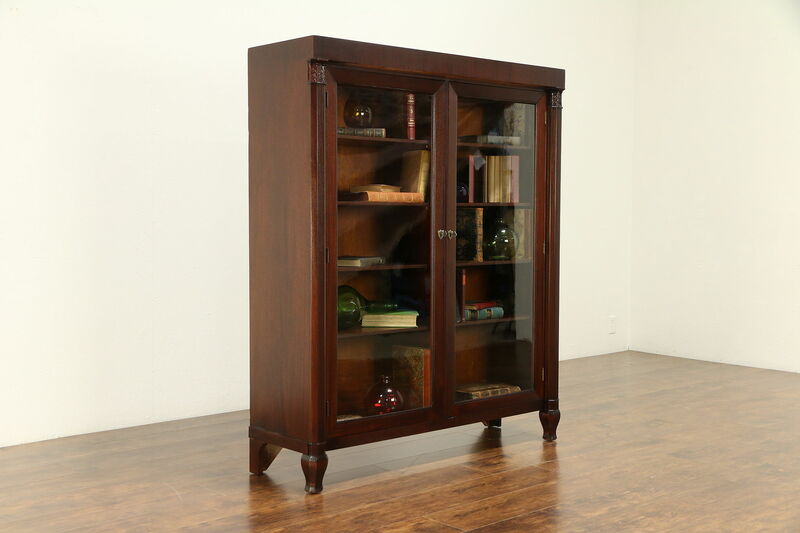 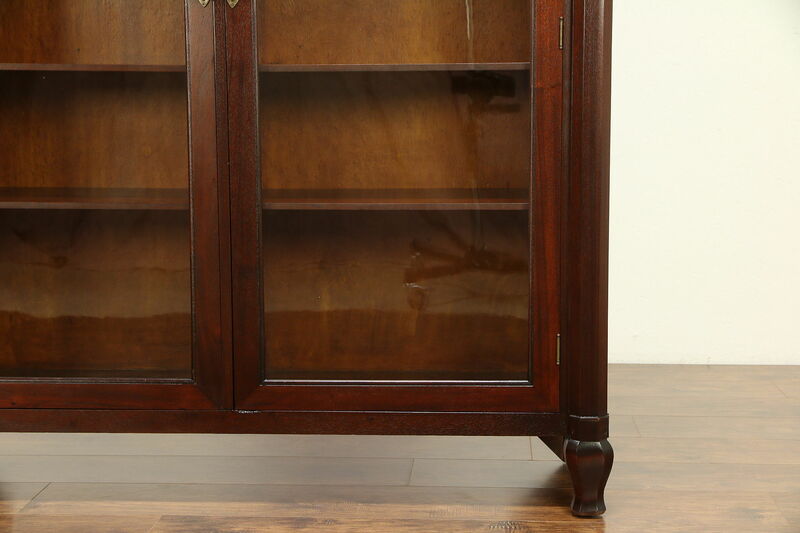 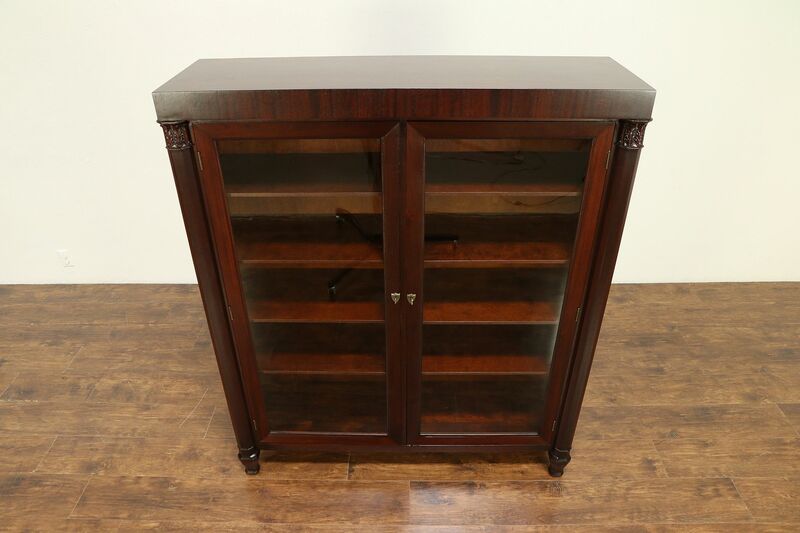 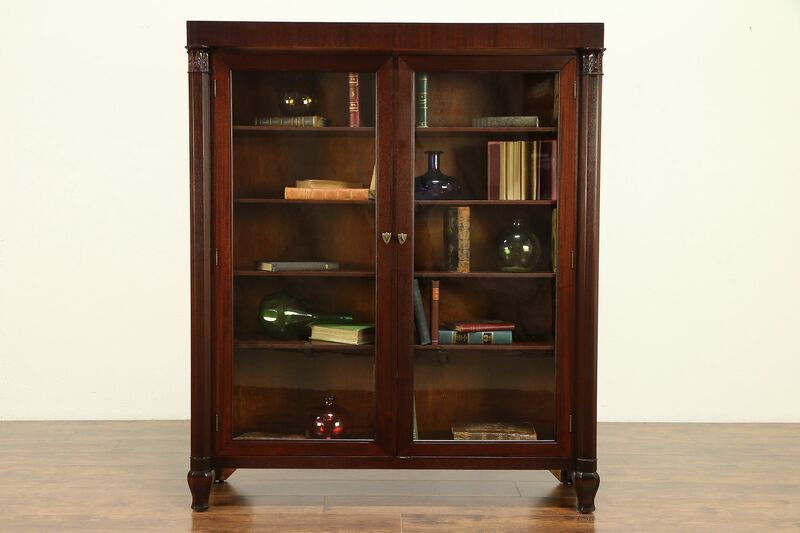 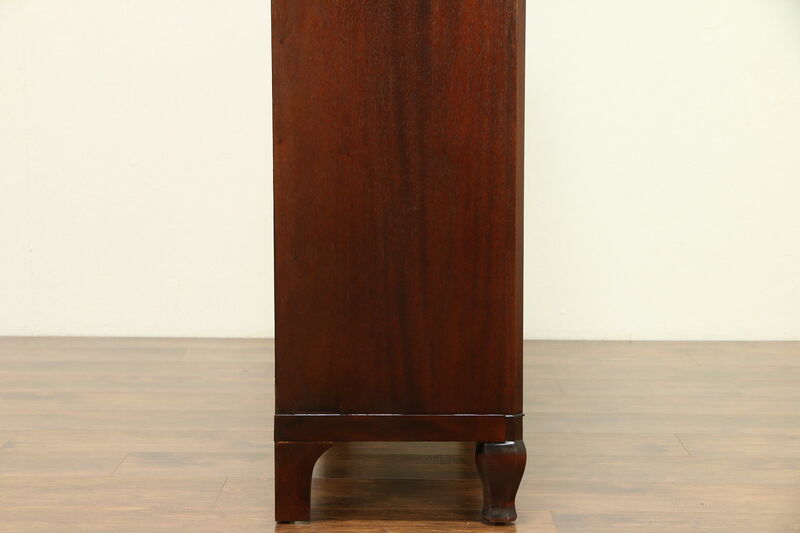 A classical mahogany bookcase with clean lines and finely carved details dates from about 1900, and has original wavy glass doors. 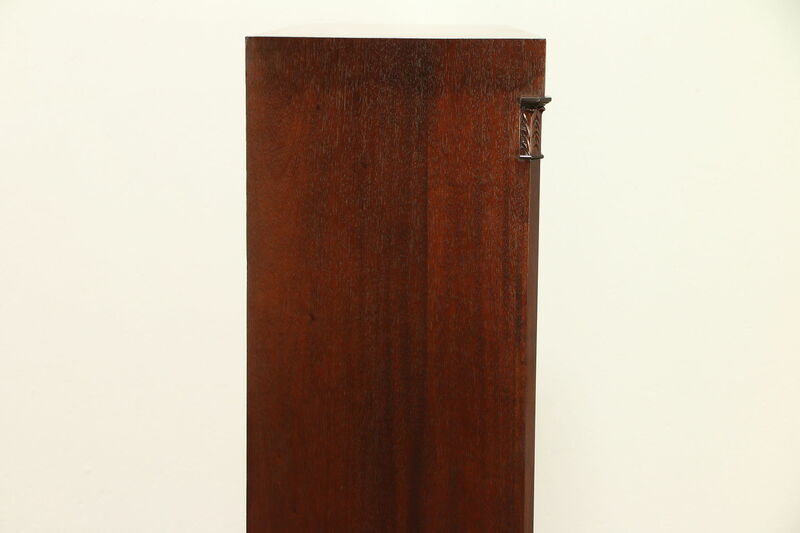 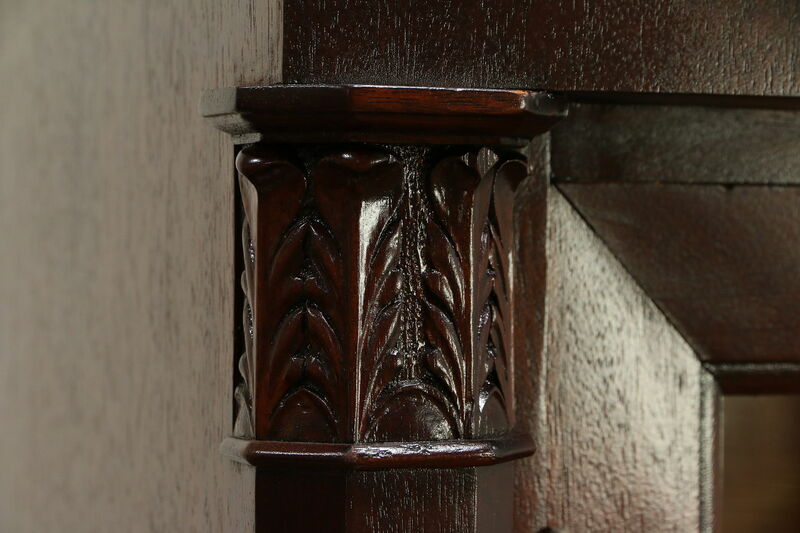 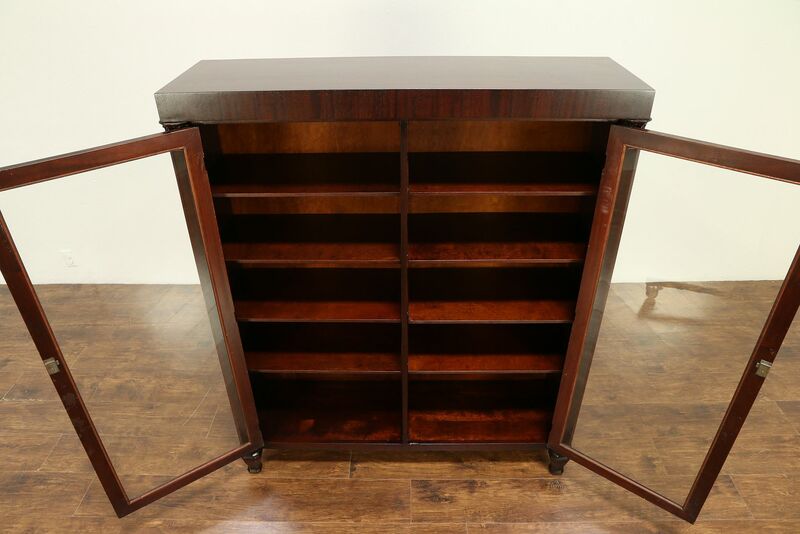 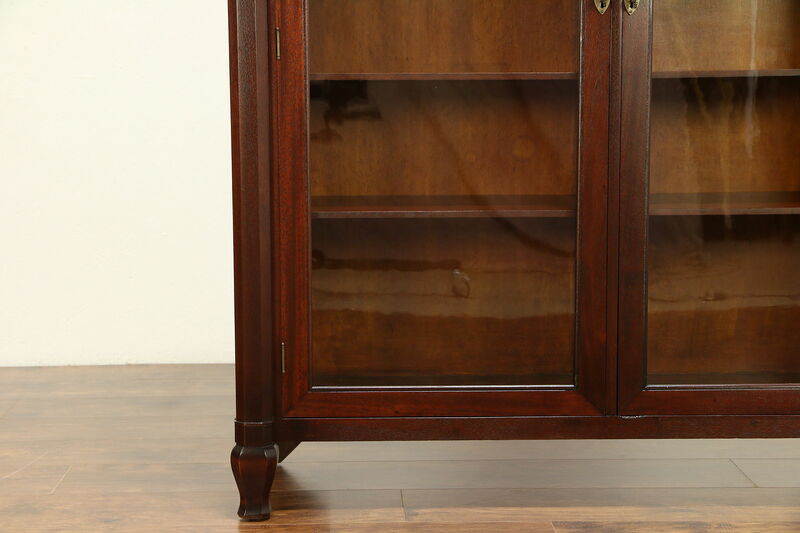 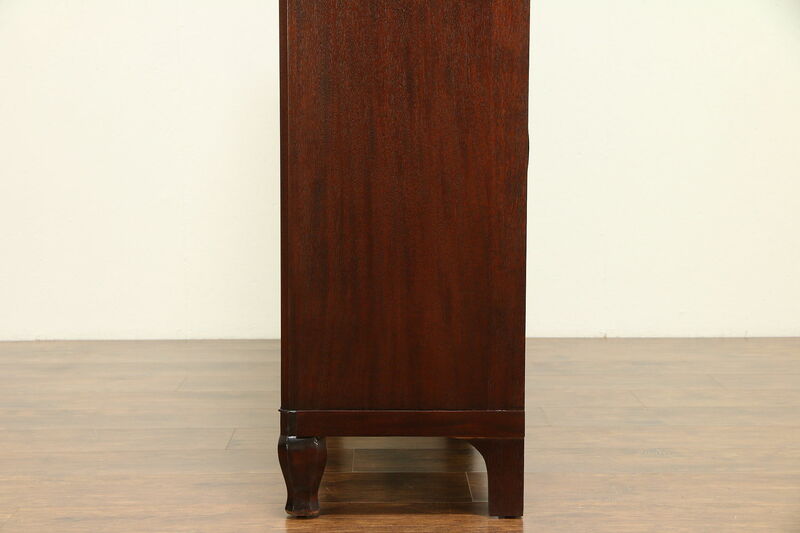 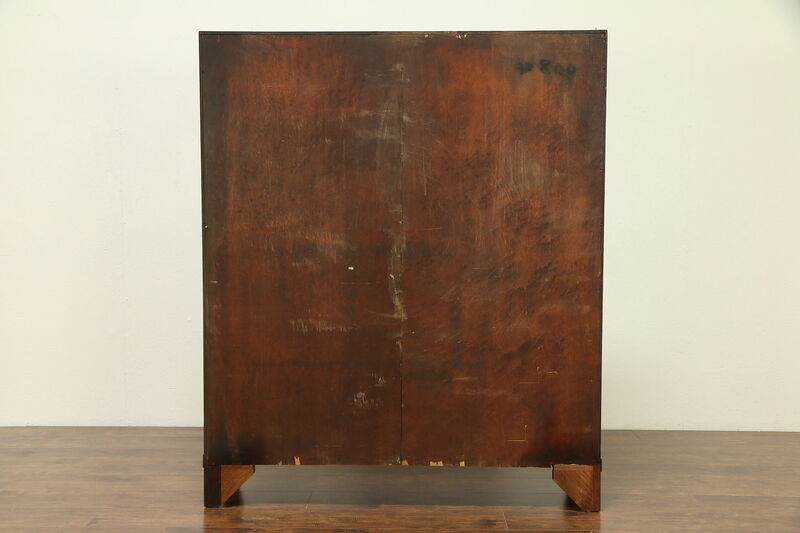 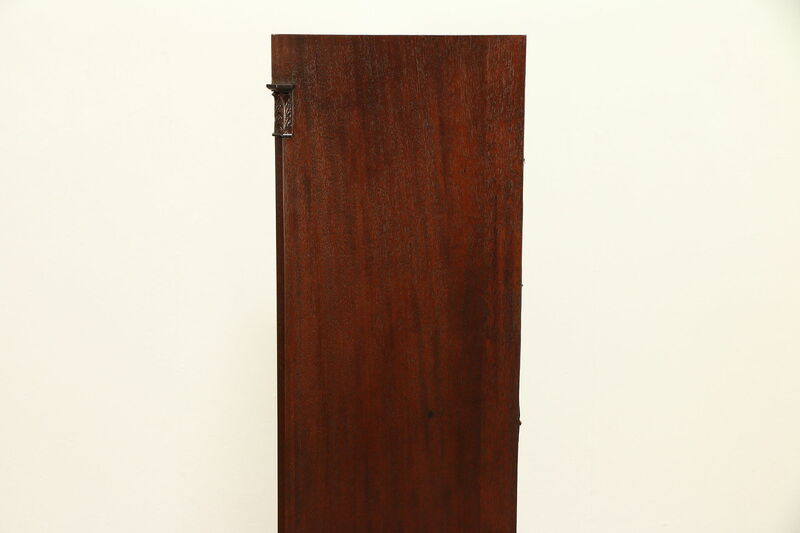 The restored finish is in excellent condition on this American made antique library or office furniture. 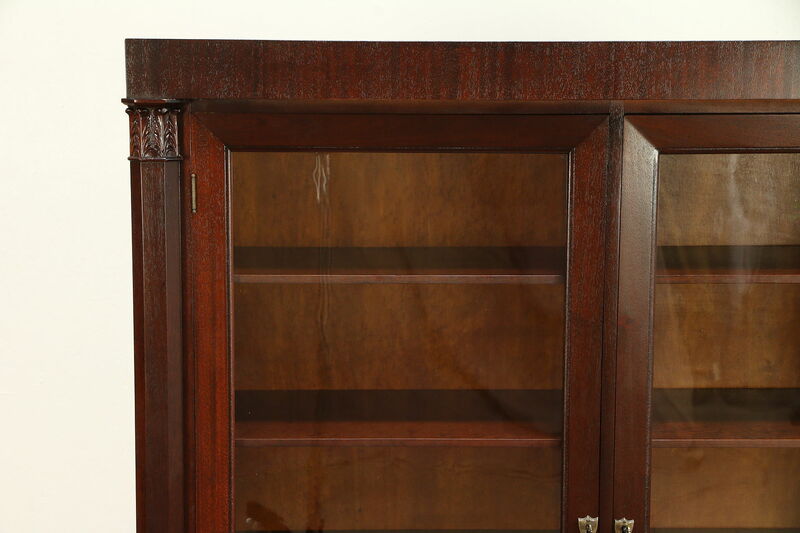 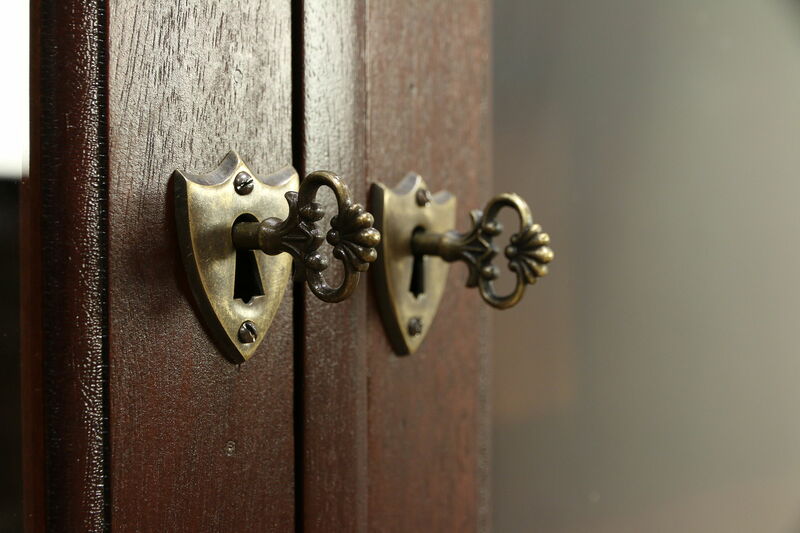 Two separate banks of shelves are adjustable, original locks still work. 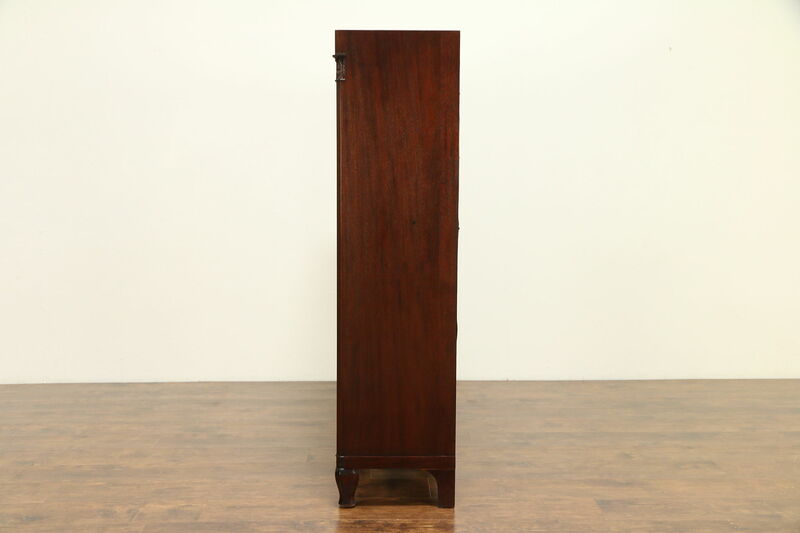 Size is 51" wide, 16" deep and 60" tall.